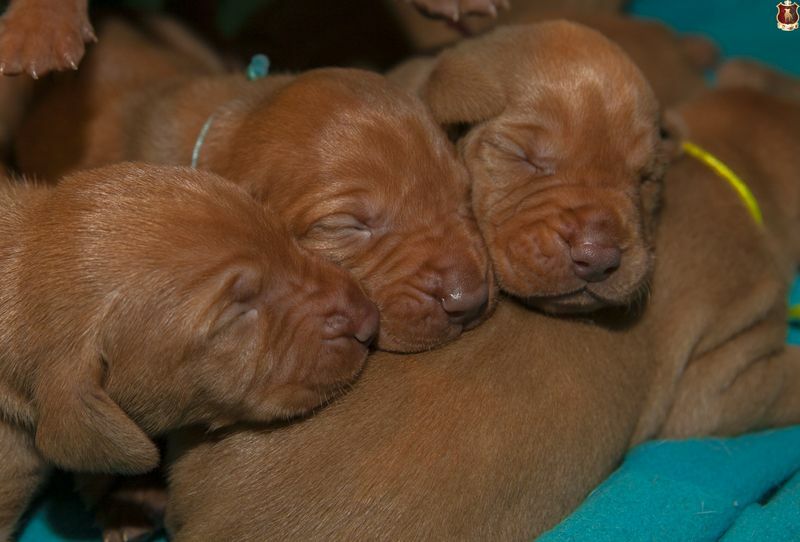 We have Hungarian vizslas puppies! 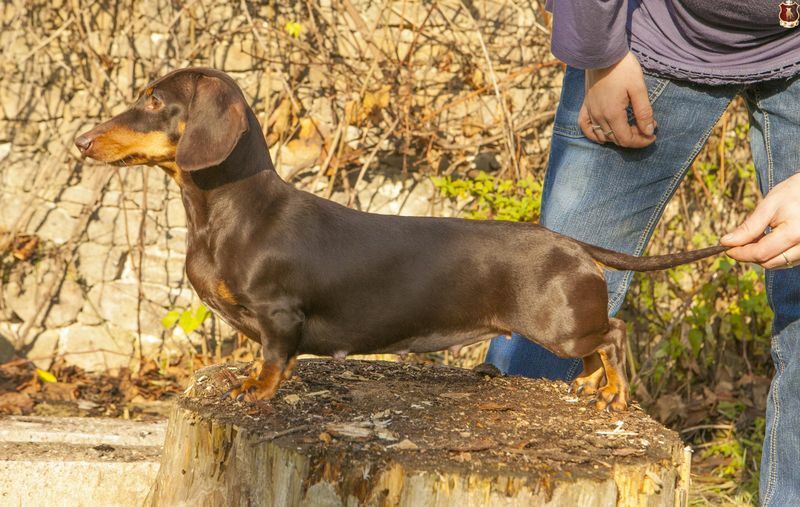 We expect dachshund puppies !! Ultrasound confirmed the pregnancy of our Ornella. We saw several puppies. The puppies would be born around 10th December. We take reservation for the puppies from this interesting clitter. More info here. In the photo is already visible belly - 35.den pregnancy. Puppies have 13 days of life today. Mom is more than exemplary and cares for them well. All well and grow their weight now is around a 1 kilo . The largest is the yellow dog. There were also the first worming and trimming nails. All puppies have their new owners and selected names. The selection of specific puppies will be run at least 4 weeks. The puppies already starting to squint into the world. First opened eyes red boy, right behind him yellow one and this morning white boy and pink female. Slowly receive first visit in puppies. New photos here. 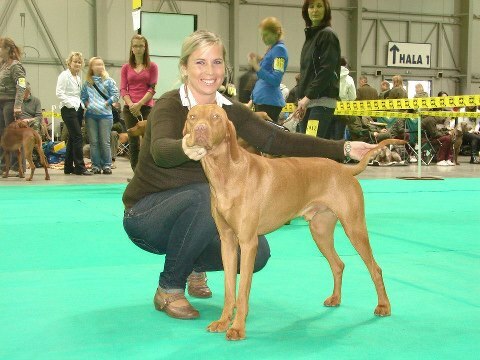 Photogalery of vizslas litter E you can see here. One male is still free. 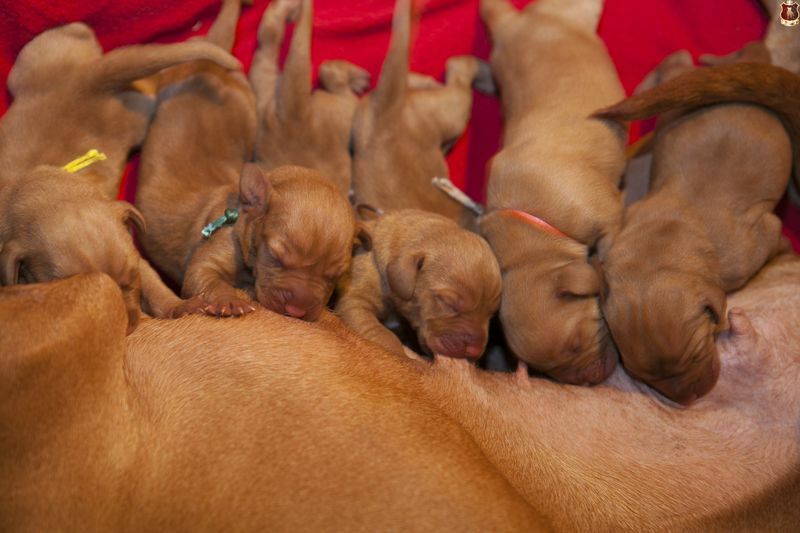 Our vizsla Prima today brought into the world six puppies . Five males and one female . The birth were without complications, and litter "E " is a very nice , well-balanced , with no white markings. All are pretty - birth weights between 490 and 590 grams ! We have a one free dog from this attractive combination . For more information, please contact us! More photos coming soon .